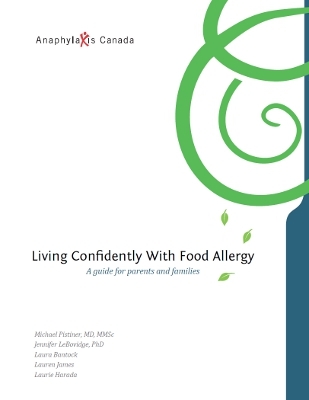 As a parent it is very common to feel worried about your child having an allergic reaction.25 This concern can help to motivate you and your family to learn how to manage food allergies.26 With the right information, you begin to understand the possible risks for your child and how to reduce them. This helps to keep your anxiety under control so that you can help your child feel confident about managing allergies. Here are some things to keep in mind. 25. Cohen, B.L., Noone, S., Munoz-Furlong, A. and Sicherer, S.H. “Development of a questionnaire to measure quality of life in families with a child with food allergy.” Journal of Allergy and Clinical Immunology 114 (2004): 1159-63. 26. Mandell, D., Curtis, R., Gold, M., and Hardie, S. “Families coping with a diagnosis of anaphylaxis in a child. A qualitative study of informational and support needs.” Allergy & Clinical Immunology International – Journal of the World Allergy Organization 14 (2002): 96-101.